Over the last month, we have received a handful of Statrican guerrillas who seek to mount a defense of their homeland. I will say, too little too late, but not to them. They have asked us for help and for arms and ammunition, to open up a localized guerrilla front. As Political officer, my job is to oversee their political education. These people are unmitigated poor, mostly illiterate peasants who are more nationalist than anything. Nine out of ten, there's not a socialist among them. We've nonetheless assigned a small detail to begin training them though. Away from the main camp. We've given them the firearms we are taking off the Lourennaise: I figure: if they are a guerrilla unit living off the land, they will be taking weapons from the guys they're shooting, and so what better to train with than those weapons? They spend a week "snapping in" or dry firing at targets, to practice breath control and getting into position, and then they live fire for another week. We very strictly limit their ammunition. Week three is survival and land navigation and week four is squad and platoon tactics. The best among them, by acclaim by their fellows, is awarded the rank of Corporal, and they are sent out. We've already sent through one training cycle of 52 Statrican Guerrillas, and the remainder have spent anywhere from two to four weeks watching their comrades, waiting to start the next cycle. At this rate, we'll train 600 guerrillas a year, to replace us in the field if we ever go home. Speaking of going home: A platoon from Filbert's unit passed by our camp headed to the coast. They were spotted by pickets some ways off in the distance, and did not heed any of our signals, but they were unmistakably ours. We have had no word from Filbert in three weeks, and a courrier only yesterday arrived from Machado. The roads have been impassable, but Machado had set up near the Statrican/Lourenne/Sekowo frontier, west of an old provincial capital of Turedobs. His hope is to set up a conduit for Kalistani assistence through Sekowo, and from there he will send word for Kalistan to replenish his troops. In a week, we will send a small group to try to raise Filbert and get him to report. In base here, it has been nearly a month since we've seen any action. But we did have to hold a trial last week for a squad of deserters. I will not utter their name, but their plan was to go into Berozna, and buy supplies. We got a tip off that they were planning something else, so I got Guerra to assign a group of six men to follow them. Instead of going to Berozna, they cut West and were headed to the coast. Our group very quickly apprehended them and returned them to base here. One of their number, perhaps in an effort to save his own skin, dimed his comrades out, saying their plan was to loot and pillage their way back to the coast. He said that two men in the group had been responsible for a string of violations of the local population in the nearby villages, sneaking off at night. They were known to the pickets who let them go and they always returned to base before sunrise so they wouldn't be suspected. We asked these two men if this was true, and they admitted it. I ordered their summary execution, (perhaps the first two in centuries and centuries of Kalistani History) for failure to uphold the dignity of the Kalistani Militia, and lectured the company on the importance of military discipline at all times. Most of the partisans were disheartened by the executions as these two were otherwise well liked, but as we do not have the facilities to imprison them for their anti-social ways, execution was the only way to protect the area from their sort. I also put out the word that any other such violations would be met with as harsh a punishment. As for the deserters, they were stripped of their weapons, and put on confinement for a week. It was then ordered that they were to remain without a weapon for another month, and would serve as the mules whenever the unit went on patrol. Only with faithful service can they possibly expect to rejoin the main body. As for the snitch, he was demoted. The fault of the lack of discipline of these men lies in their inactivity. Boredom and lack of control of one's circumstances frustrates people. But I made it clear that I will not tolerate anti-social behavior among these Partisans. That is the behavior of Louis and the NC, not Kalistani Partisans. I only hope their example serves to illuminate the ethical behavior of the others. When word from Filbert comes in, I will write more. Utembo - Information regarding the joint Zardic and Ostland forces fighting in Utembo have been limited however the Zardic Eastern Command (ZAREASTCOM/EASTCOM) Commander General Arkadio Sparteno (Zardic Marine Corps) spoke today at a press conference. Gen. Sparteno spoke at length regarding combat operations, the first international military action of Zardugal in several decades, which he noted logistical and material issues for the Zardic Armed Forces overall but the now three years of fighting have taught the Zardic Armed Forces an impressive amount about logistical combat operations. Gen. Sparteno noted that the presence of guerrilla fighters and the insurgency style warfare was taking it's toll on both Ostland and Zardic forces; however the establishment of communications with the Utembo government had lessened the attacks as some within the Utembo government believe that Zardugal might be able to aide them. Rumors have surfaced that members of the Federal Intelligence Service have been reported meeting with Utembo officials, however, reports appear unclear and they might have been personnel from the Secretariat of Foreign Affairs. Combat operations have revolved around striking at Dovani Union forces that have either broken away from main fighting formations or have attempted to establish outposts throughout Utembo. The ZNS Alexandra Onassus has been launching numerous sorties throughout the three years of on-and-off combat operations in Utembo. Carrier Strike Group 1 and Carrier Strike Group 2's numerous Igiro Apreno-class destroyer's have been launching swathes of cruise missiles towards DU communications and logistical outposts as they are uncovered by Zardic Marine Corps forces and Zardic Army forces. Rumors have also surfaced of the presence of Zardic Special Operations Command in Utembo, which has been centered around the joint Zardic and Ostland operations. Above: Soldiers of the Vanakalamese army march into the loyalist-held Ajuna principality, led by Zalim Thakore - brother of the Emperor. The army of the Free Democratic Republic of Vanakalam has entered into the nation of Kalkalistan to support the rebellion led by several of the nation's western princes in their fight against the Emperor Raghu III. Emperor Raghu has faced the rebellion for several months now, with rebel princes securing the dormant borders of their princedoms and creating mile-long palisades which have prevented the larger Raghu-supportive army led by his allied princes. It appears the rebel princes were settling down waiting for the intervention of Vanakalam, who would help them advance forward into the territory of the Emperor. The Emperor's cause was bolstered by the support of two more princes, though two others defected to the rebels from a neutral position - leaving all princes committed in the fight. The intervention of Vanakalam was expected, but they have already managed to take considerable territory. The veteran-led force of Vanakalam made quick work of the militia-based Kalkalistani military. The loyalist military is not a professional force, but is instead the levy army of the local princes. This disorganised and backwards approach leaves the Emperor at a major disadvantage in a key area, as the area invaded - Ajuna - is the domain of his half-brother Zalim. Prince Zalim has take initiative in becoming the High Prince in the north, deputy to the Emperor in said region. Zalim's authority over other princes in the region was solidified as he was able to halt the Vanakalamese military before they marched on his seat of Sharya in Ajuna. Sharya's 3 million inhabitants make it the largest city in the northernmost principalities of Kalkalistan, a densely populated nation throughout. The largest city, concerning for the loyalists, is not too far from Ajuna relative to the nation's massive size. The rebel princes and their neighbour loyalists are now increasingly openly in violent conflict with each other, as thousands have already died in the loyalist defence and rebel attacks. One area of concern is the domain of rebel Rajavanshi Prince of Vatavana, Tarun Chauhan. Prince Tarun, who has declared himself Lord of the Rajavanshis with the support of fellow Rajavanshi Prince of Vora, Mrigaj Naik, has created an isolated island of rebel support on the eastern coast of Kalkalistan. The nature of this enclave means Prince Mrigaj of Vora is rushing to relieve Prince Tarun with his feared ancestral Vorani Guard, the most elite fighters in the rebel prince arsenal. While the rescue of Tarun concerns the Rajavanshi rebels, and the consolidation of territory the other native rebels, the Vanakalamese push further into Ajuna and neighbouring Vaknis. Over the massive spread of territory in Kalkalistan, this could be the largest-scale war in recent Terran history - the battle-line is already bigger than the wider Dovani war. Emperor Azeez will no doubt go down in history as one of the most influential people of the 45th Century, perhaps of all time, at least in the continent of Dovani. Sadly, his story has seen its last words, and the influential Emperor has finally passed at the age of 82, joining his wife, Namira, who passed some years ago. His work founding colonial nationalism has split a continent in half — no, the world. His work as commander of the Medinese military will go down in history as some of the most skilful military performances in recent history. His work in Istapali has changed the course of its defensive history. His changes to the Medinese constitution have been as revolutionary as they can be. His bloodless revolution will go down as one of the most spectacular and bizarre moments Terra has ever seen. Portraits of his image are as astonishing as they are famous. Emperor Wiqar Azeez’s story is a classic rags to riches tale turned up to eleven: beginning life as a poor, working class citizen, he managed to rapidly ascend through the ranks of the military thanks to his bravery and unmatched wit, becoming the youngest person ever to earn the Golden Sun, the most prestigious military medal in Medina. Soon enough, he was a General — then Commander — then Prince — and finally, the first Emperor of the reborn Medinese Empire, outmatching his familial rivals to take over a nation. A huge state funeral is expected to be held next week, with a smaller private service at his burial site one day later, sitting high in the mountains to be buried in a vast, luxurious tomb alongside his most loyal generals, his wife, as his many cats. Azeez did not mention Xsampa-Hanzen, Ntoto or Statrica. The fallen allies. Possibly his worst regret. Furthermore, nobody has any idea what Aaban’s reign will be like. In his late fifties, now, Aaban could theoretically rule for decades to come. But what does he believe in? Is he merely a new Azeez — or is he destined to craft his own legacy? He will no doubt face new challenges unforeseen by his father. But there is little doubt: he already has the hearts of the people, and it looks as if thet light could never fade, for the simple reason that he is Azeez’s son. Picture the scene: New Year’s Day; NC soldiers celebrating in the night; the guards relaxing despite the darkness; victory sitting on their lips. Then: suddenly, all at once — explosions all round; RPG fire. Gunshots streaming in from the jungles. Painted faces barely visible in the shadows. A furious furor of action and activity descends on the tranquil twilight; it strikes midnight. 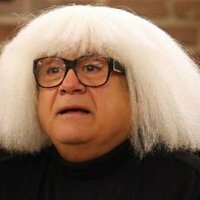 The opening seconds of 4431 are marked in Temania not by fireworks, but by the sounds of screaming men, bloodied tents, and retreating troops where once stood powerful fortresses of Northern Council might. The attack is the single biggest guerrilla attack formed by the Dovani Union to date, with the event taking place simultaneously at over 100 local bases across NC-controlled Temania. The most secure strongholds of NC power remain unshaken, but in the many areas where support is weaker, the remaining DU forces in the region have struck a devastating blow. Air strikes were called in by the enemy not long after the assault began, but it was too little too late; the enemy had already laid away into the jungles. In the hours since, the NC forces have returned to their lost bases, calling in reinforcements to fill the vast holes poked by the DU. What they found was a camp blown to bits by their own planes, filled with desecrated bodies, and with all of their equipment apparently dismantled and stolen. Supplies were grabbed wherever possible, though the guerrillas don’t want for food: support from the locals is still good, with protests in the capital regularly attracting thousands of marchers. How long can Hutori shut out the enemy — and will it outlast Dovani Union morale? Tropica To Be Officially Liberated By The End of the Year, But Will the NC Attack? Emperor Aaban today began the process of liberation for formerly invaded nation, Tropica. While the move has faced criticism from some, the desire for colonial nationalism to succeed apparently outstrips Kedimese imperial ambitions. The move is apparently designed to discourage an attack by the NC: who will look like the imperialists should they attack, the Dovani Union, apparently happy to cast off its colonies for the sake of peace, or the Northern Council, pursuing an enemy to the bitter end in spite of the troubles it now faces, and in spiteful of an apparent victory in its original justification for the attack — to fight imperialism? The situation in Kalkalistan has advanced quickly over the last few months, as Vanakalamese forces press forward in great numbers into the northernmost principalities of its southern neighbour. The territory of High Prince Zalim has been cut down severely by the veteran forces of President T. Sagana, though the Prince has been considerably more successful in battling the Kalam princes who have formed a Kalam Duchy. The Kalam Duchy is fighting alongside Sagana's Vanakalamese troops against the Northern Viceroyalty that High Prince Zalim leads. The three other princes under Zalim's direction have had mixed success, losing territory but inflicting hundreds of casualties on the Vanakalamese. The Kalkalistani tactic seems to be to try to neutralise as many Vanakalamese as possible, because the population of Kalkalistan means they would win a war based on the ability to take attrition and casualties. Away from the Northern Viceroyalty, in the central region of the massive Kalkalistani nation, Prince Kaysan who leads the Khoni Duchy is having to face perhaps the most feared woman in the east - Empress Lakshmi "the Fierce" of Bhapor. Empress Lakshmi, the imperial consort to Emperor Raghu, was previously known by her seemingly strong taste for luxury in a nation that suffers terribly from poverty and hunger. Now, however, the stylish and smiley Princess is committing much more practical attacks onto the people of Kalkalistan. Prince Kaysan's troops have been harassed by repeated chemical attacks, and the Empress has had all the water sources in the region poisoned. Thousands of her own people have died as a result, as have thousands of Khoni troops. Lakshmi's brutality has only gotten worse and worse, and the bodies are piling up in this area. The results here are, however, very good or the Imperial forces thanks to said attacks. In the south, the Rajavanshi Duchy remains divided between the Vorani and Vakavani forces, whose princes are trying to connect their forces. Prince Mrigaj of Vora has had a great amount of success in cutting through the enemy in his attempt to make a bridge to Prince Tarun of Vatavana before Tarun's forces are either overwhelmed or starved into death or submission. Unwilling to accept such a fate without a fight, Vatavani troops have killed masses of Raghu-loyal forces in the bloodiest theatre of the Vascanian War. Thousands, maybe even tens of thousands, have been felled in brutal street-by-street urban fighting and guerrilla warfare. Vatavani troops have built foxholes throughout their principality as the endless tide of Rajutti, pro-Raghu forces stream in. Brave troops from both sides have killed dozens of their enemy by just themselves before themselves being killed. The fatalities are mounting rapidly across Kalkalistan. At 9:52 a.m the war in Statrica finally ended. Early in the morning, the Kazulian air force launched a very powerful and deadly airstrike on the eastern part of the city in order to decimate the last few remaining soldiers near the capitol. The large strike lasted minutes and instantly destroyed hundreds of Statrican buildings instantly. Following the massive airstrike, a large artillery barrage bombarded the area and sent buildings crumbling to the ground. After explosive work was done, Talmorian troops cleared the area from the attack. At 8:40 a.m a Statrican representative was sent to a Lourennais camp to announce Statrica's complete surrender. The full surrender was written on a document and signed by Statrican military officers, Lourennais Military officials, and Talmorian officers. The surrender was officially announced at 9:52 a.m. and from that point no more gunfire was heard and the city was in silence. Casualties are in the thousands for Lourenne and Talmoria. Following the surrender, Lourennais troops began to head to airbases in the area and departed back to Lourenne. Troops near the border simply walked or traveled by transport vehicles back to Lourenne. 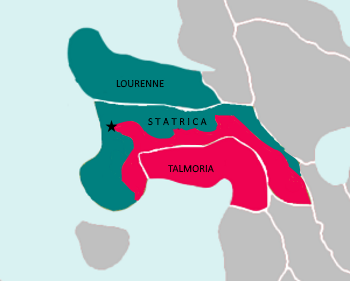 Some Talmorian troops stayed in Statrica as well as a few Valruzian personnel. A final updated map of Statrica was released as soon as the capital fell. While troops begin to depart from Statrica, Lourenne and Talmoria have reached the capital of Ntoto. Airstrikes have begun on the city and tanks have begun to move in facing heavy resistance from Ntoto troops. Ntoto's high military officials and president is not expected to be in the city as they have retreated from the capital following the initial invasion of the country. The Ntoto capital battle is expected to last as long as the Statrican capital battle and will include the same countries (Lourenne, Kazulia, Talmoria) fighting to Liberate the country. An updated map of the liberation of Ntoto has been provided below. A Valruzian soldier scouts an area in the jungle region of Ntoto. 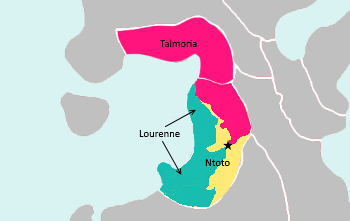 After the liberation of Statrica, Valruzian troops cooperating with Lourennais forces aided their push into Ntoto. Called by Defense Minister Wawro the "Southern Offensive", several heavy battles have already taken place, but troops in Ntoto are reported to be vastly unequipped and inefficient. A soldier in a local armored division spoke to field reporters today, remarking "The jungles are giving some resistance, as is the norm, but we've been pushing alongside our Lourennais allies. It should only be a few days until we reach the capital, provided the weather remains stable." A local field officer also spoke to reporters, stating that the current conflict was "Neck and neck, but we'll likely quash them by the next week." It is largely expected that once the west Dovani operations are completed, Valruzian forces will join Kazulia in their peacekeeping efforts. T. Sagana has won in a landslide in the first elections for the President of the Confederated League of Vasakana, her second win at a Presidential election. Sagana won with 77% of the vote, with similarly high levels of support in both occupied Kalkalistan and Vanakalam individually. 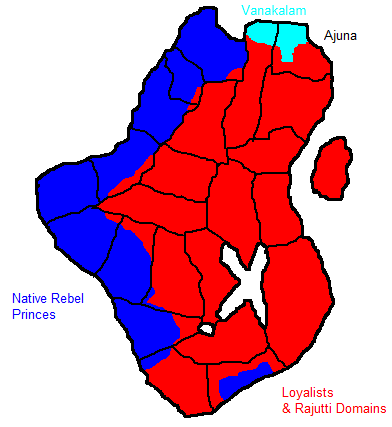 She won in all six Vanakalamese regions and all 17 principalities in which any territory is currently held by the CLV, though only half of these are predominantly held by Sagana's forces. Sagana was endorsed by all political parties in Vanakalam, bar the communists, and all rebel princes in Kalkalistan, which - in the areas occupied - enjoyed its first democratic election for a nationwide office in history. Sagana's giant mandate re-inforces her hand in the developing situation in Kalkalistan, which she has invested tens of thousands of her own military troops into - with many returning home in caskets. Sagana's Freedom Alliance won a 2/3rds majority in the 200-seat Vanakalamese devolved legislature, winning 137 seats, and won the governorship of all Vankalamese regions. 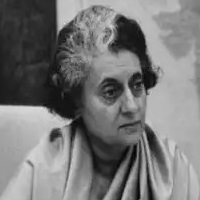 Her ally T. Dyshini, the sister of the late President T. Kumar, won the position of Governor-General of Vanakalam, the highest position country-wide - though she still reports nationally to the proclaimed leader of both countries, T. Sagana. The Freedom Alliance's Kalkalistani counterpart, Alliance for a Free Kalkalistan, won 107 of the 200 seats in the newly-established Kalkalistani devolved legislature and all Princes loyal to Sagana got their allies elected bar a few irregularities. The election was so successful for Sagana, it has drawn criticism for possibly having been staged. 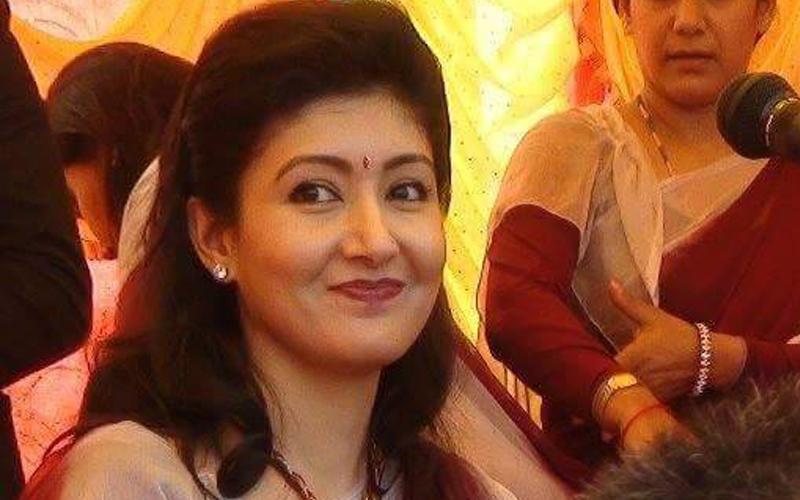 While it is true that Sagana is very popular with her people, 77% is a very, very high number and so is 137 seats. Plans to create a federal legislature of 100 seats are already under consideration for if the two nations are finally fully united as is planned. Sagana has vehemently dismissed rumours of cheat, calling them plots from the communist 'sore losers"' whose candidate won only 23% of the vote against Sagana. Sagana's nature as a leader has been up and down, with the economy in Vanakalam improving significantly but personal liberties being cracked down upon. 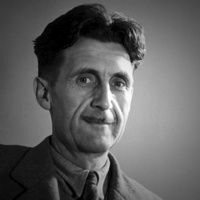 The government is increasingly authoritarian and repressive, and has implemented wide-scale surveillance and monitoring programs with the little resources they can muster. As the country grows, Sagana's military might does too. If the continent united, it would have more potential manpower than any other country on the globe. Alongside claims of election staging, claims of Sagana developing experimental weaponry that severely damages the environment have also been dismissed. The Empress Lakshmi of Bhapor has continued a reign of vicious barbarity, as public executions and torture persist among rebels captured and detained by her forces. Her elite and hardened Bhapori guard have continued to use terrible chemical weaponry on civilian and military targets in an attempt to force submission from the local populace. The luxurious former princess of Bhapor has been extremely successful in obliterating the levy troops of the Khoni lords, led by Prince Kaysan who is also the most senior leader in the rebellion out of the native figures involved. Kaysan's troops have been targeted viciously for brutal treatment as the "Black Empress" - as the native populous have started to call her - uses guerrilla warfare to reclaim territory lost to the secession. Lakshmi's enemies have also been crucified and burnt alive, often alongside their families, leaving no person in the region unknowing of her violence. In the far south, Prince Mrigaj of Vora's mission to save the stranded and isolated Prince Tarun of Vatavana has nearly succeeded, and the distance between the later, who has had to push north to meet Mrigaj, and the former, who has had to battle through dense forest and waves of enemies, has been cut by three-quarters. If the two princes can consolidate their forces, they would pose a massive threat to the Rajavanshi loyalists, who have some of the weakest forces due to the fact they are siding against the will of most of the subjects. Most Rajavanshi, even those sworn to loyalists lords and princes, have chosen to aid the forces of the two princes in their efforts to reunite. They would, however, reunite in a bridge of rebel territory that would be on pressure from both sides. After uniting, the task of striking up rebellions from natives against their lords would begin - a task made much harder by news of the brutality of the regime against rebels. Vanakalamese invaders, who style themselves as the "Liberation Forum" - a name inspired by the word 'Forum' being associated with Sagana in Vanakalam, due to its usage in the Vanakalamese civil war - have made significant progress. Originally struggling against High Prince Zalim and his large numbers of troops, the Vanakalamese have had increasing success through striking up rebellion and sedition among the minority populous who feel threatened by their Rajutti overlords. The Emperor, Raghu III of Kayal, has had to begin preparation plans for fighting the Vanakalamese in an area in which they excel: urban warfare. With veterans from the civil war leading much of her forces, Sagana should be confident that if the war comes down to a battle through the streets she would probably win. What Raghu does to combat this remains to be seen, but Raghu apparently is more concerned with reports of a high-impact weapon Vanakalam is developing that makes terrain impassible. Details are not yet public, nor is confirmation of such a program being real. It is now clear that Emperor Aaban has been discretely supporting the army under his father's former frenemy -- a kind of rival leader of the DU, someone whom Azeez simultaneously respected and despised, stood with arm-in-arm and yet wanted to obliterate -- former PM of Xsampa-Hanzen Babpiboon. Whether this funding (and certain diplomatic assurances were Babpiboon to come to the throne) are legitimate attempts to stand by side with the warlord in Hanzen or simply an attempt to stop former Xsampa-Hanzen imperial lands falling into pro-NC hands is unclear. Most analysts assert, though, that this is the lesser of two evils in Aaban's eyes: a dangerous and difficult disruption who supports the struggling colonial nationalist movement, or an NC-dominated rival sitting right on the Medinese border? Meanwhile, Aaban has publicly appealed for peace with the NC. "The lack of an attack on our newly-independent allies, Tropica, is promising," he said: "We have no quarrel with the Northern Council as an institution -- we have no desire to shed their blood. But we will neither be trampled on by an imperialist first-world oppressor. Let us meet, then, and draw a line under what has happened; let us return things to the way they should be -- an independent, unified Dovani Union, free from NC control, but the two great unions standing together, instead of in front of the barrel of each other's gun." It has been suggested that the war is winding down by some, and only beginning by others -- ironically for the same reasons. In NC-occupied Temania, a resurgence in resistance is causing major issues for the Hutorian and Kazulian forces there. Guerrilla attacks have become more sophisticated and more frequent; DU defences in the mountain regions is still going strong; riots broke out in the fiercely anti-NC capital city last week... Vast swathes of the country are still virtually unoccupied by the NC, and have become a breeding ground for new guerrillas to be trained. Makeshift bombs have become more frequently used, as newly recruited guerrillas begin to take their first steps into open conflict, attacking nearby convoys from the shadows and sniping at passing key figures. Attempts to burn food supplies also proved effective for a while, though the NC was quick to adapt to protect against such a thing. Does this indicate the NC will back off, though? Or is it the case that this is merely the beginning of the "real" Dovani War -- the war for the hearts and minds? Some sources have suggested Aaban is considering speaking to the World Congress, while rumours are beginning to spread that a unified Vascania (Vanakalam and Kalkalistan) could be welcomed with open arms into the DU should the war still be raging when (and if) Sagana reigns victorious in the Vascanian conflict... With several new narrative strands developing in an already ancient conflict, how much longer can the bloodshed be sustained?